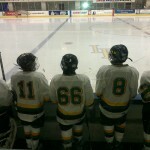 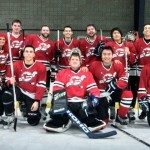 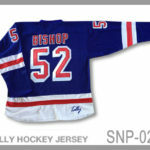 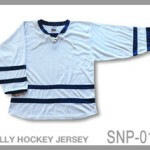 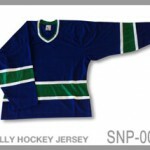 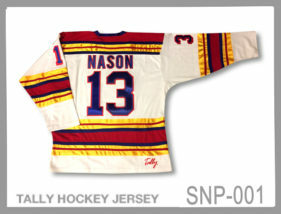 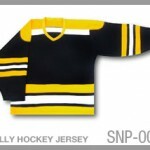 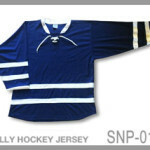 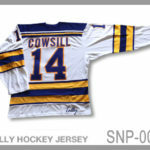 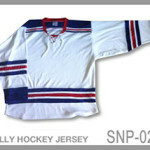 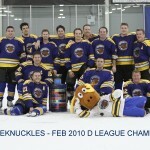 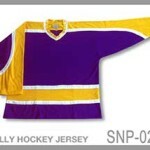 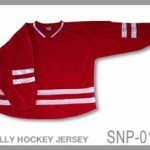 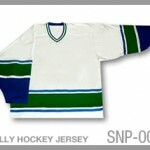 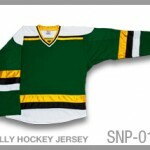 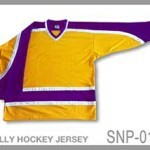 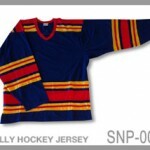 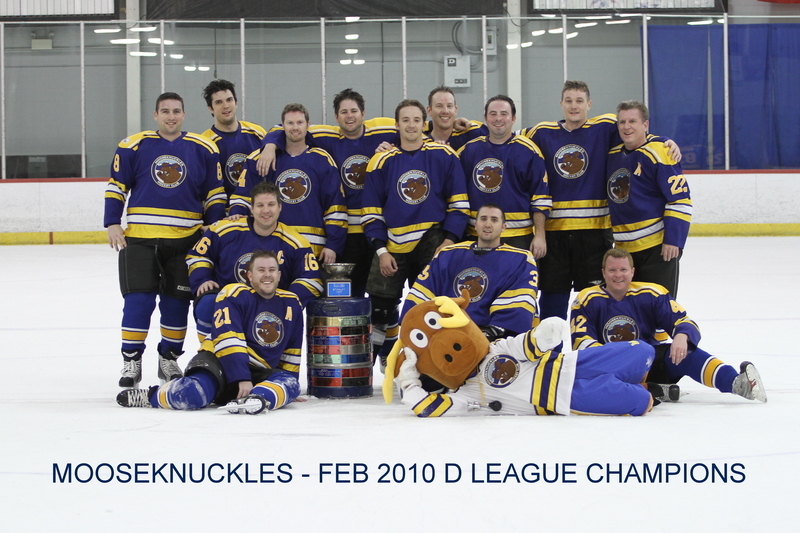 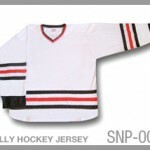 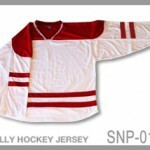 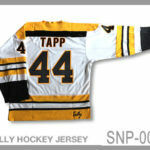 All Tally hockey team jerseys have design details only found on the most expensive vintage or throwback hockey jerseys. 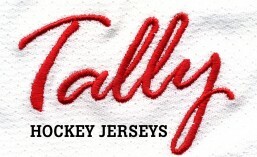 Choose one of our fantastic Tally hockey jerseys and let us design a logo / embroidered twill crest for your team. 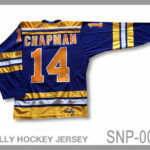 We’ll design your team crest or change your team’s current logo to match any of our jerseys – for FREE! 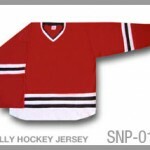 Jersey Sizes – Tally hockey jerseys are available in four children sizes and six adult sizes: Youth Small, Youth Med, Youth Large, Youth XL as well as Adult Small, Medium, Large, XL, XXL and Goalie Cut. 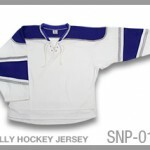 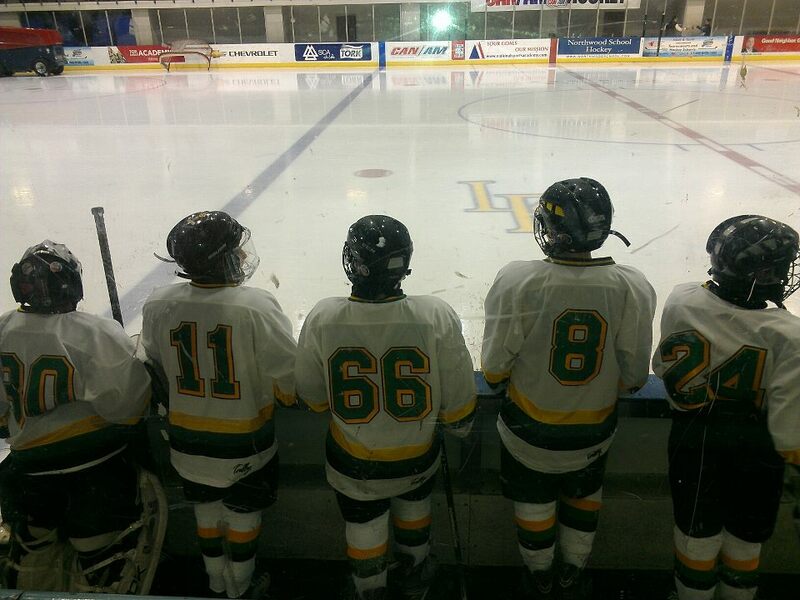 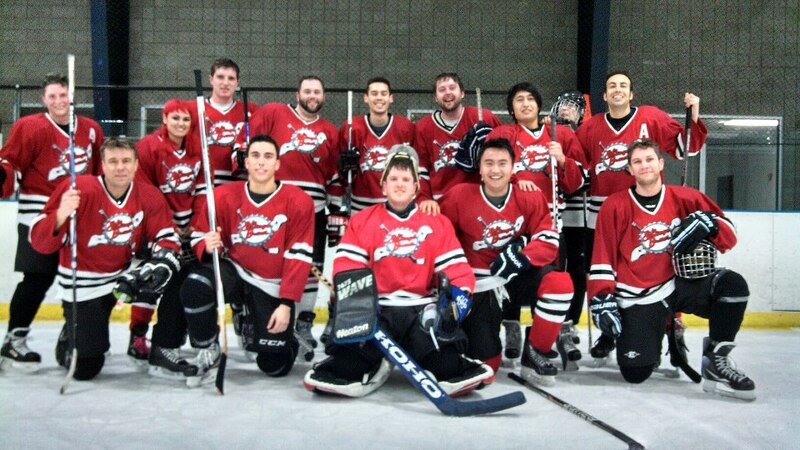 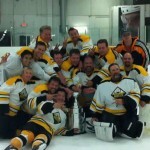 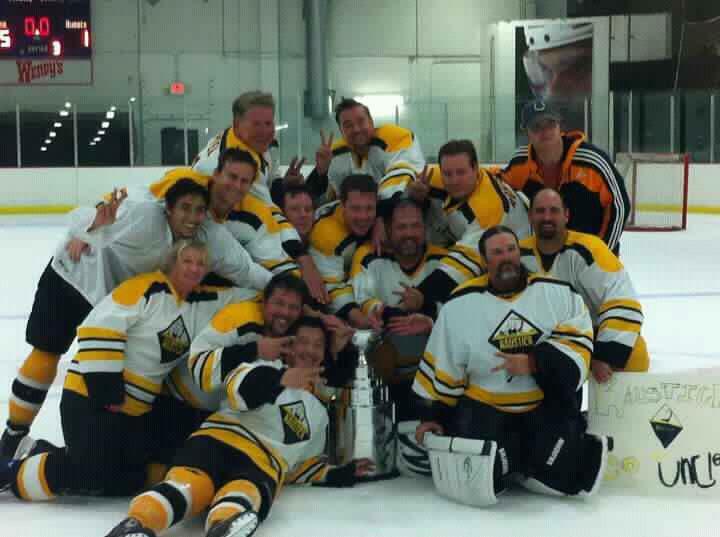 Tally hockey jerseys are cut like high quality hockey jerseys; please contact us if you would like a size chart.